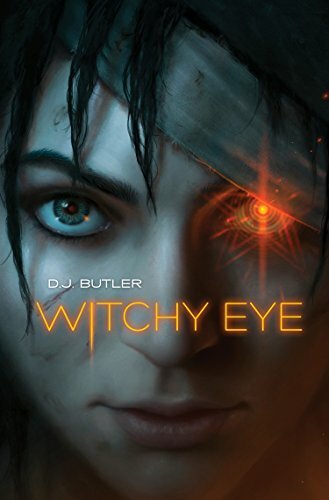 An hour-long conversation with David John Butler, author (as D. J. Butler) of the Witchy Eye epic fantasy trilogy for Baen Books, set in an alternate version of early 19th-century America, and as Dave Butler of the middle-grade adventure series The Extraordinary Adventures of Clockwork Charlie, published by Knopf. 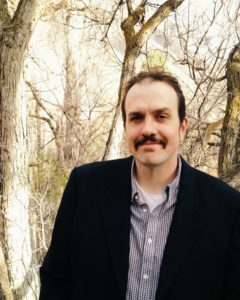 David John Butler is a novelist living in the Rocky Mountain West. He trained in law and worked as a securities lawyer at a major international firm and in-house at two multinational semiconductor manufacturers before setting up in solo practice. He’s also a consultant and corporate trainer. He teaches business acumen to employees of world-class companies. Dave is a lover of language and languages, a guitarist and self-recorder, a serious reader, is married to a “powerful and clever woman,” Emily Butler, who is also a novelist, and has three “devious” children. He’s been writing speculative fiction since 2010, ranging from fantasy to science fiction to horror, and writes for young readers as well as for adults. He’s published by Knopf, Word Fire, and Baen, and he’s also the acquisitions editor at Word Fire Press. Welcome to The Worldshapers, Dave. Ed, thank you so much for having me. I’m thrilled to be here. We encountered each other at DragonCon. You were signing–it was actually my first DragonCon, by the way, a little overwhelming–you were signing at Bard’s Tower,which is a sort of a travelling bookstore that shows up at conventions, and speaking of towers, I was shocked by how tall you were. Oh, yeah, I was once six foot eight. I haven’t measured myself in a long time. You know as a a kid you stand up against the the door frame and get a little pencil mark every year and a half or so. But as an adult you don’t need to. I’m pretty sure I’m shrinking now. I suspect I’m probably six-seven at this point. But, I’m still quite tall. Well, I’m six-two, which, you know, normally is pretty tall around most people, so it’s always a surprise to me when I meet somebody that’s as tall as you are. Well, third time’s the charm. Well, I’m wondering if I can find an author named Goliath just to get a little balance here. It’s funny that you mentioned those guys. 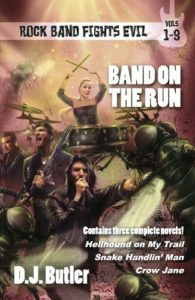 The editor at Baen, David Afsharirad, is putting together an anthology–and I have forgotten the title of it–in which every single short story is written by someone named David. I should change my name. That is a way to get in! 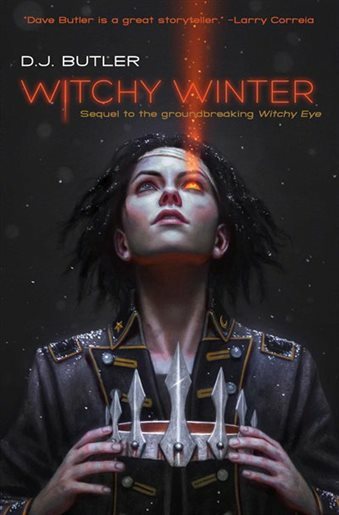 Well, a little later on we’re going to focus primarily on your trilogy, which began with Witchy Eye and follows up with Witchy Winter, which should be coming out in paperback about the time that this podcast goes live, but I’d like to start by–and I always say this-going back into the mists of time. How did you first begin writing? How did you become interested in writing, and also how did you become interested in writing specifically in the fantastical realm? Yeah. It’s actually the same answer. I was seven years old and my dad, who was a professor, had been at an academic conference and he came home and he gave everybody…he had a gift for every kid, and the gift he had for me was the 25th Anniversary Silver Jubilee edition of The Lord Of The Rings and The Hobbit paperback with the Darrell K. Sweet covers, red, blue, green, and yellow, and I laid down in bed and I didn’t come out until I had read the books, took about a week. I almost burned the house down. I had a little bedside lamp, you know, and I fell asleep with the lamp on and the lamp had just kind of nodded down and laid against the pillow. And when I woke up it burned a circular hole next to my head. Oh yeah. So so much longer that would have been really tragic. We’re lucky we’re having this conversation, then. We are. In an alternate universe, you know, the world never got to know the many gifts of Dave Butler because he died at the age of seven. But, yeah, so that was it. So, I was I was convinced from the age of seven that I wanted to be like Tolkien. I read and reread that, I looked for…I think many people did look for a way to recapture the experience of first reading Tolkien. I think a lot of fantasy writers of a certain era got their start basically profoundly imitating Tolkien. By the way, I think that is in some ways a fair characterisation of me, although hopefully I have more self-awareness than people who were writing in the ’70s did about the activity. And as a reader I was looking to recapture that experience. And so, from the time I have thought of myself as a big reader I have thought of myself as a reader of fantasy. What were some of the other novels that you picked up on? I mean, seven is pretty early to read Lord of the Rings, so what else did you find after that? It is. Well, you know, there was a limited amount. Really, the the young-adult sections and the middle-grade sections of the bookstore have exploded since that time. There was simply less of it. But there was some, you know, stuff written for younger readers, like The Moomintrolls, or I remember, you know, Pippi Longstocking with fondness. But really I was reading on the science fiction side, you know, Isaac Asimov and Larry Niven, and some of the sort of classic science fiction writers. Edgar Rice Burroughs: I loved the John Carter books more than Tarzan, but I read them all, as well as the the the Venusian series, the Venus books. I did read, over and over again, Terry Brooks, at least the first trilogy. I read..I mean. you know, seven is young for Tolkien, but it was about two years later that I was reading Stephen R. Donaldson. And I think…I don’t know, candidly, if my parents were sort of benignly neglectful and just said, “We’ll let Dave read stuff,” or if they just weren’t aware because they had too many kids. I mean there were like six of us, so you can’t really police six people’s reading. I remember going at the age of 11, walking to the library and checking out the the Gor books, which are really not for children, but no librarians ever bated an eye, they’d just check them out and send me home. My story there is, our library had two sides, there was the adult side and the children’s side, and the librarian actually did tell my mother that, “You know, your son is checking books out of the adult side of the library.” I was about 11. And my mom said, “Oh, it’s okay, he only reads science fiction,” which made me think that Mom probably didn’t know what was in some of the books I was reading. I was reading the Gor books along about then, too. Right, having my young mind kind of blown by that and others. So, pretty widely. Anne McCaffrey’s Dragonrider books, Andre Norton, Katharine Kurtz–loved Katharine Kurt’s Deryni books. The Earthsea stuff, Ursula Le Guin, and others. Yeah, widely. So, you’re reading widely, but when did you actually start attempting to write? When you were writing, in school, before you hit college, were you sharing your writing, you know finding out that people liked to read your stories? In a limited way. You know, the creative writing classes I was in would have publications, and so I published things, and I published a few things for the same reason in college. I wrote a 14-line sonnet, formal sonnet, in Italian about a dog getting hit by a car, which I got published in the little creative writing paper, whatever it was. But really, not very much. The biggest creative outlet I had for shared creative storytelling was actually tabletop roleplaying, and I did an awful lot of that from about the age of 13. And at 13 I had no money, so I was just kind of making rules up, and then I got in high school and had little money so could buy books. So, right through to the end of college, at 23, I played a lot of role playing and then gave that up for about 20 years. I’d like to say…well, I don’t know that I’d like to say, but it’s quite true…that although I majored in journalism at university, theoretically, with a minor in art, I really majored in Dungeons and Dragons and everything else I kind of fit in around that. Look, I think that a lot of the interests that I have in life may may have been influenced by the roleplaying I did or, in the alternative, you may say they they manifested in the role playing I did. My interest in history and anthropology and comparative religion and myth and language really are all,,,you see them in the choices of the games I played and the way I played those games, and that’s the stuff that’s sort of then come out again as I have turned to creative writing in the last ten years. Well, now, you did go into law, and law is very much a word-based profession. Do you find, now that you have turned back to writing, do you find that that training as a lawyer has had any influence or effect on your writing? Yeah, absolutely. Several things. First of all, the practice of law is absolutely a profession of writing. Now, it’s a very particular kind of writing. Accuracy, precision, really matter. You know, coming up with a long and colorful list of synonyms to avoid repeating the same word is not necessarily important. (I guess, actually, in some kinds of law practice that is, too.) Two other things: one, being a practicing lawyer gave me a lot of experience in writing as part of a team. In other words, where we are a group negotiating a contract or we are attempting to describe an underlying business that’s going to list its stock on the stock exchange. And I had a lot of experience in me being in a position of proposing language that then got discussed and edited, and me getting comfortable with the idea that, “Hey, I’m not wedded to my formulation, I’m wedded to getting the right response.” So I think that in some ways this has made being edited relatively easy for me. I’m able to step back and say, “Look, the goal here is to get the right description, the right book.” I’m able to detach myself, my ego, from the words on the page. But another thing is, I was a full-time practicing lawyer for something like 13 years, kind of depending on how you count. Technically, I’m still a lawyer now. I have 13 years of experience being a professional, keeping obligations, being responsive and responsible, negotiating contracts, thinking clearly about business relationships. And I have found that to be very valuable as a writer. My experience is that this is an industry that is rife with people who kind of don’t really think deadlines are a big thing, who don’t really clearly understand what the deal is they’re getting into, who just sort of write a book and then hope they will be J.K. Rowling. And I have not had to be that because I have relevant experience. When did you turn back to writing, then? Well, in 2010 a there was a wonderful lovely day in spring. A beautiful thing happened, which was that I got fired, and I got fired in the best possible way. A company was acquiring the company where I was the senior corporate lawyer, and they weren’t going to keep me, but they needed me to stick around for the deal, so I got a parachute. It’s wasn’t a golden parachute, maybe it was bronze, but basically it meant I could get fired and I could do what I wanted for two years. It which is great. I highly recommend it. You should you should totally do that. So that was 2010. I wrote full-time for two years, then I had to sort of take up the practice of law for a while again, and eventually moved to the corporate training, sort of a little more stable. And that my day job at this point. I’m self-employed, but I’m a corporate trainer. That’s the majority of my income. But from 2010 to now, I don’t want to shortcut any other questions you may have, but basically in the eight years, I have got five books published by national publishers and, depending on how you count, maybe something like 10 books published by an independent publisher called Word Fire Press, and I’ve got, you know, contracts, I’ve got two books coming out next year and contracts for another four that I haven’t written yet. And on the way my wife decided to get into writing. So getting fired was literally the best thing that’s happened to me professionally in my life. It made me do this. So what was your first professional sale then? The first, like, to a national publisher…that’s an interesting question. So, the first thing I wrote in 2010 was terrible, but then the second thing I wrote was pretty good and I got an agent, and I had an agent for a year, and he was a big deal. He’s the head of a kind of mid-sized agency and he couldn’t sell the book. And then he dumped me. And then in the meantime, sort of a year later, my wife got her own agent, initially with a co-written book that she and I had co-written. That didn’t sell, either, but then her agent, the second thing he took out for her was…she did a rewrite of the book that originally picked me up my agent. It is not published. It was a professional sale. The book was called The Case of the Devil’s Interval. It was a middle-reader story about a young, an eight-year-old, genius who is murdered by goblins and finds herself a ghost. In the first version I wrote it was in Victorian England, and as a ghost she kind of is a superhero, and so the first story was about her solving the mystery of her own murder and setting up as a fighter of crime. And that sold. So, I wrote it originally in Victorian England. Emily and her agent, she did a sort of a revision that reset it in Federalist Boston. And that was bought by Egmont, as part of a two-book deal. And that book should have come out in…let me think about this…should have come out, I want to say, in fall of 2015, but then in about February 2015 Egmont, which is…you may not know their name, they’re Scandinavian, and they were making a bid to try to become one of the top five publishers in the US. And in February 2015…I think I have the timing right…they decided that they were done, and they just pulled out and they orphaned all their books. So the book..we have ARCs. The book had been fully edited. We got paid. We got the rights back. It got all the way to ARC. There are reviews you can find reviews on Goodreads, because copies of the ARCs went out to reviewers, and then the book never came out. Yeah. 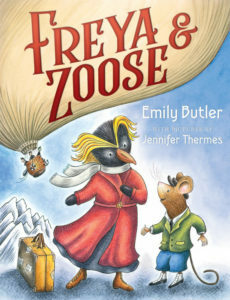 Now my wife’s first first debut (Freya and Zoose, published by Crown Books for Young Readers) is finally going to happen in January, which is a huge relief to her, because she’s been working at this since like 2011, and it’s sort of hard to keep going when you feel like no one…you do a ton of work and no one has any idea. So, I think it’s been harder for her than for me but, yeah, so that was my first sale. It was that co-written book, sold by my wife’s agent, and the book never came out. I think it will someday, in some form, but there’s sort of a moral there: all of the horror stories you hear about publishing, are all true. They’re all true. Yes, they are. I have several of them myself. So, what was your first published book, then? The one that actually appeared. So, we’re talking about from national publishers? However you would like to define that. Well, OK, so let me give you a couple of separate answers then. So, while I had my first agent, whose name was Peter, I realized early on during the year of having him as an agent that he was going to read my stuff at about one-fifth of the rate at which I was writing it. So, I had a call, and I said, “Look, what should I do?”, and he said, “Well, people are doing self-publishing, you should you should try to go self-published.” So I did. So, my first things published at all were self-published. They’re now out from Word Fire Press, but I had a series of novellas called Rock Band Fights Evil, which I wrote to start to find readers, to be a calling card, to get out there, to not wait for my agent. That’s the earliest thing. And that would have come out in…the first one came out something like December 29, just before year-end, 2011, I believe. 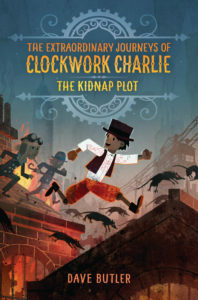 Now, my first nationally published book was with Knopf, I have a trilogy, its middle-reader steampunk action fantasy. The first book’s called The Kidnap Plot. I picked up a second agent. So, my first agent dumped me then. Then my wife got an agent and he went out selling her stuff and our stuff together. And then I took this book, The Kidnap Plot out to agents again, and I picked up an agent. Deborah Warren is my agent, still is. I love Deborah, she’s very good. And she said, “OK, I’m going to send this book to…” So this was in March 2014 or something, so about four years I’ve been doing this now at his point. She said, “I’m going to send this to one editor on a sneak-peek exclusive look for a week.” And she did, and that editor bought it. So that came out in June of 2016. So a little over two years later. And the books have come out basically one year since, and that is a completed trilogy. It was fun! Michelle Frye is very, very good. Knopf is a big publisher. I got to have stablemates. Fellow Knopf publishees include people like Christopher Paolini, whom I’ve got to meet and hang out with. You know, he’s infuriatingly young, but he’s a cool guy. He was even more infuriatingly young when he got published. He really was. So, that was that was my first. You mentioned that your first was a middle-grade, or for younger readers, so you’re still writing for both young readers and older readers as Dave Butler I think, is that what that’s what you use for your younger books? That’s right. So, The Kidnap Plot by Dave Butler is book one of the series. And that’s just a way to signal to people who the intended audience is. I am thrilled if adults want to read The Kidnap Plot and I expect some young readers are going to go read Witchy Eye stuff, too. I certainly would have been one of those who did. Yeah, I would have to. Since you do write for both ages, I was going to ask you, what do you think is the big difference between writing for the younger and the older readers? I think less than people often imagine. I think some people approach writing for younger readers and some publishers approach writing for younger readers as a matter of, “Oh, I can’t say certain things,” and there is an element of that, but the truth is young people need to learn about death and they need to learn about violence and so I think the bigger difference is not that you can’t touch certain topics but that you need to be providing an inner journey for your characters or a subplot or a secondary arc or whatever writing lingo you want to call it that reflects the inner journey that your readers are going through. So, the real thing that defines a book is being a middle-grade book is that the character is having a middle-grade type experience in their own life, and that means learning the answer to questions like. “Who am I? How am I different from my parents? What do I need to do to be independent in the world?” Right? Those are the those are the things that 12-year-olds and 10-year-olds are are figuring out in their own life. And the same thing goes for young adults. Young adult is the age of first romance and first jobs and first experience, sort of on the cusp of adulthood, and especially young adult books, at this point, often have fairly gritty content. The thing that really makes them young adult is that there are young-adult journeys happening to the characters. And the age of the characters is obviously an important element to that, too, usually. Usually. That’s sort of the external sign, right? But the thing it’s a sign of is that the internal journey is appropriate for that age. All right, well let’s start talking about Witchy Eye and Witchy Winter and…what’s the third book going to be called? So, well, I’ll leave it up to you, then, to provide a synopsis of, well, I guess, Witchy Eye, because that’s the first book, so that I don’t give away something that you don’t want to give away. Well, so, Witchy Eye is in many ways a a straight-up epic fantasy, a straight up quest story, a fairy-tale-influenced story about, well, about a character who comes of age, sort of. It is my bid to be Tolkien, in many ways. Now, the main character’s named Sarah. Sarah is a witch. She is talented and clever and brave and funny and fiercely loyal and paranoid and xenophobic and mean. And the story opens on the day of the Tobacco Fair in 1815 in Nashville, because this is an epic fantasy, but it’s an epic fantasy set in an alternate America, and it’s an America that looks that looks like America in terms of its languages and people, and some of its heroes, but in terms of its power structure operates a little more like the Holy Roman Empire, with a bunch of semi-independent powers and an elected emperor who is, at the time the story opens, Thomas Penn. Penn Landholder. So, 1815: it’s October, Sarah lives in the Nashville area, she takes the the family young’ns down to sell the crop, and Imperial Army officers try to kidnap her. And she learns that she has a secret history. a history so secret she herself is unaware of it. She is the hidden daughter of the dead Empress, Mad Hannah Penn, and her uncle, who she’d never knew was her uncle, the living emperor Thomas Penn, military hero Lord Thomas, has discovered her existence,, views her as a threat to his wealth and power, and wants her killed. She learns also that she has two siblings, that she had kind of a strange fairy-tale type birth that resulted in her birth and the birth of two other siblings. They’re hidden elsewhere in the Empire, and her quest is to find her hidden siblings, to recover the lost wealth of her mother, Hannah Penn, and the lost royal authority of her father, who was another sort of military hero and semi-legendary figure, the king of one of the seven Mound Builder kingdoms of the Ohio River Valley. So, it’s very questy, it’s very epic fantasy, it’s very fairy tale, but things are playing out in places like New Orleans and Philadelphia and Nashville. Yes, it’s very interesting in that regard. The term that’s been applied to it I see is “flintlock fantasy,” which is actually not a term I’ve ever seen before, I don’t think. Was that invented for your book or have you seen it somewhere else? I think it’s been…also I’ve seen black-powder fantasy. I think there is another term or two. People have been trying to find…because this isn’t. I’m not unique in having written sort of epic fantasy in a time when there are also muskets. So while I was writing this, Django Wexler was publishing his books, my friend Brian McClellan’s got, I think, six books out that, again, involve sort of both early modern gunpowder but also epic fantasy elements, and there are others. So I don’t know if there is yet a consensus term. I don’t think this was invented for me. I have seen things words like muskepunk as another one. It’s just a bit earlier than steampunk seems to be what they’re going for. Well, I think that’s right. I think the steampunk brand was successful enough that people have invented many other kinds of punks. Yeah, I had a book from a publisher, which is now defunct and now I’m shopping around again, they decided to call it voltpunk because it involved magic that was vaguely like electricity. It wasn’t my idea at all, and I’m not sure it’s a very good description, but at least I hadn’t seen it before. But anyway, voltpunk was kind of catchy. So, where did the idea come from? Oh. man. From multiple places or from multiple streams commingling in my heart. So let me let me parse out some of the streams. One of the streams is my own children. So, the three children who are at the center of this story, Sarah is the only one we meet in Book 1, but in Book 2 we meet the brother, Nathaniel, and in Book 3 we get a closer look at Margaret. The story of their birth is is as follows: their father, the king of the Mound Builder kingdom of Cahokia, is riding the bounds of his kingdom on the western edge of the Empire when he dies. In fact, he is murdered by some of his men, acting under orders from from his brother-in-law, Thomas Penn, although that’s not generally known, sorry, spoiler. There you go, you knew it. With his dying breath he anoints three acorns with his blood and sends them with his Father Confessor priest back to Philadelphia. Hannah, his wife, her response causes people to suspect she has lost her mind. She treats the acorns like they are children. She sings to them and coddles them, and then one day she eats them. And then she gives birth, nine months later, to three children who are variously marked on their head. So, we meet Sarah she’s the title character we see her eye, it’s the subject of the first paragraph. She…at the age of 15, her eye has never opened. She has an eye that has never opened. It looks infected and it’s red and it oozes pus and it’s nasty and she’s already an unattractive woman and kind of a hellcat, and so this gets her negative attention on top of that. But eventually it turns out that that disfigurement is sort of a mark of her birth and her siblings have similar marks, one in her hair and then the other one in his ear. Now, my kids…so, my son, our first child, was born with his left ear pressed flat against the side of his head and it has never fully relaxed. So, if you look at him straight on, he has one ear…the ear was pressed forward against the side of his head..so he has one ear that looks normal and then one that’s pointing out perpendicular, right? My second child, when she was very, I mean three or four weeks old, she was very young, and my brother Sam was visiting us and playing with her in the crib. And suddenly he kind of called out and said, “Hey, is it normal that her eyes are a different size?” And we rushed in, her eyes, her pupils were dramatically differently dilated. One was wide open, one was very tight shut. Now it turns out there’s nothing wrong with her. It’s a neurological condition that doesn’t hurt her at all, it’s just, I forget what it’s called, it’s got a name. Her pupils dilate at different rates. It’s not an indication…we were worried it was a concussion or something. It’s just, that’s the way her eyes are. So, I have been calling her since she was, you know, five weeks old, my witchy-eyed child. And then our third child has this shocking head of hair. It’s a recessive trait in my wife’s family, sort of one person every generation. The rest of us have kind of ordinary, more or less flat hair, and then kind of one person every generation gets this curly ‘fro, and she’s got it. So, one piece was me wanting to write a story about these children that are sort of marked, as my own children, and a story about them recovering a lost or mysterious heritage from their father. So, really, really, really really at the heart, there’s a story here about me and my children. Now, there’s other stuff. I was reading several things at the time, I was…you know, I’d finished a book and I was trying to figure out what to write next and I was reading several things. One of them was, I was reading my kids the Brothers Grimm fairy tales, and, you know, i a sort of fairly straight-up translation version where they don’t always make sense and they have very dark endings and lots of death. And at the same time I was reading…and I am not remembering now…I’ve got several different volumes…I was reading a history of the Thirty Years War. And Germany is not something that I ever really studied much in my youth. But reading those two things at the same time made me realize, and I’m embarrassed to say I was, you know, like 34 or 35 or whatever when I realized this, made me realize what the setting of the Grimm fairy tales is, because as an American kid, it’s a very striking setting, because you read something like The Musicians of Bremen and they’re wandering around, these animals, they’re in a landscape where there are princes and there are emperors but there are also mayors and there are people with guns and you kind of go, “Well, what is this crazy setting?” Well, it turns out it’s early modern Germany. It’s the Holy Roman Empire, which I had sort of never made those connections, and I was I was looking for a setting for the story of these three marked children and for a while I thought I might try to set something in, say, 16th century Germany, which would have involved, I think, an awful lot of research. But then I read another book, which is called Albion’s Seed. It’s a book by a historian an American historian called David Hackett Fischer, who is sort of one of the great figures of American history living today. Albion’s Seed is a history of the English migrations, plural, to North America. We say casually, you know, “Hey, the English came here,” and if we say that we may think about that in terms of Plymouth Rock, but in fact there are at least four major distinct streams of migration into North America at the era of the founding, and only one of them is the Puritans from southeast England. There are also Royalists from the southwest and there are the Quakers from the, sort of the Scandinavian-influenced North Midlands. And then there are the, he calls them the North Borderers, the North British Borderers, something like that. The conventional term in America is usually the Scotch-Irish. That is to say, the people from Northern Ireland and the borders of England and Scotland who, you know, the first emigration, the Puritans came to Massachusetts Bay, the Royalists then came down to the southeast, the lowlands on the coast, the Quakers got a land grant and settled up the Delaware River in Philadelphia, and when the Appalachians arrived, they weren’t the Appalachians then, when the Scotch-Irish came, basically all the good lands near the coast already had white people on them, so they kept going and came to the mountains inland and so they settled a huge band that runs from north all the way down to the south in the Highlands. And it’s this fantastic 900-page book of anthropological history and I read this and I thought, “Man, I wish that fantasy settings were this good. I wish they were this detailed,” and then I thought, you know what, I should just write in this setting. This is it. This is the setting right right here. So, I told the story like I had been thinking in a kind of an early modern setting but I told it in a fantasy America rather than a fantasy Germany. Well, there certainly are…in a way it’s an alternate history, because there certainly are a lot of historical figures that show up and I have to mention one that leaped out at me. I grew up in the church of Christ. And so when Barton W. Stone makes an appearance, there was a name I never thought I would see referenced in a fantasy novel. I mean, I knew it, growing up as I did, from Restoration history and all that. But he’s hardly the only one. I mean, there’s a lot of real historical figures with very very different stories: Martin Luther, George Washington, and all these people. So, how did you decide who to throw in there? It just look it just seems like you’re having an awful lot of fun pulling these names in and giving them new backstories. I really am. You’re the second person to mention Barton W. Stone to me. I got an email from a woman about six months ago or something…no, shortly before Book 2 came out, closer to a year ago, and she said a very similar comment to you. And I said…because in the book Bishop Barton Stone is one of the the leaders of the of the New Light, which is a kind of a Christian…there’s no Protestant Reformation as such in the setting, but there is a sort of a revival going on, which is called the New Light, and in Book 2 the sort of New Light adherents are referred to as Kissing Campbells and Swooning Stones. So Alexander Campbell’s in there, too. Alexander and…hold on, is Thomas the father and Alexander the son? Yeah, Thomas was the father. Yeah, Thomas and Alexander Campbell and Barton Stone. You know, so, Tolkien, in writing the Lord of the Rings, is writing on multiple levels all at once. He is writing on a level that is philological, he is finding new meanings for words; he is writing on a level that is musical, because he’s putting settings around poems and songs he’s written; he’s writing on a level that is theological, because there is some profoundly–Tolkien was a seven-day-a-week Catholic. He went to Mass every morning with his boys. After his parents died he was raised by a monk, a priest, for a while. And so his Christianity shows up in there and all of it is sort of wrapped up in him finding a mythology for England that is sort of deeply English. But it’s also deeply and uniquely Tolkien, and I tried to do the same thing actually. And so there is a degree to which I am trying to consciously look at different streams of history in our collective past and in the stories of individual cultures. But there is a degree to which, inevitably, this book can only be idiosyncratically me. You know, I set myself the task to write the epic mythology of America. It’s an impossible task. It’s gigantic. America is impossibly vast: hundreds of cultures and hundreds of languages and and ruins we don’t know who lived in there and creatures that have entirely disappeared. And I’m doing kind of a crazy thing. So, at the end of the day, you know, the whole thing has to be bounded by my own my own aesthetic and my own experience. And Barton Stone and Thomas and Alexander Campbell are very interesting people to me, and they fit right in the story, and so they got to show up. Well, how thoroughly did you plan all this out before you began. What’s your process. Do you do a very detailed synopsis ahead of time or do you find a lot of it as you write? I don’t have a detailed synopsis. I know what things have to happen. And I have a partial outline when I sit down to write a book and usually a fairly complete outline of the first third of it, maybe. And then I know what the main posts are,, and I know where it has to end, and in each of the books in these series there are a few big things: okay this is this is the book in which X and Y are going to happen. So, as I’m writing I’m writing to sort of macro signposts as well as sort of a few signposts that I know belong, but there is an element of making things up, of finding inspiration along the way. As we’ve just discussed there’s lots of historical people in here, and yet they aren’t really quite the historical people. What kind of research do you find yourself doing along the way? I read a ton. I mean, I’m sitting right now in my office. I’m looking at a bookshelf that has about a third of a bookshelf worth of books on India, including the Punjab and Sanskrit and Punjabi languages, and then about two thirds of the bookshelf is Native American stuff, and it’s got language and culture and history about the Iriquois and the Ojibwe and the Delaware Indians and the Navajo, and that’s that’s one of something like 30 bookshelves in the room I’m sitting in. So, I read an absolute ton. I do read a fair amount of biography. So I’ve read…I don’t know, two or three biographies of Benjamin Franklin and I’m looking at one, actually, now, Walter Isaacson’s that I haven’t read yet, that’s sitting on the shelf in front of me. In Book 2…there are references to this stuff in Book 1, but in book 2 one of the characters we get is a hedge wizard. He is a sort of a low practitioner of magic. He’s a guy who doesn’t have the natural gifts Sarah does, and so his skills are not the high art of Gramarye where you’re imposing your will on the cosmos. It’s traditional spells. And so I’ve got a shelf full of actual medieval and early modern magic books. John George Hohman’s The Long Lost Friend and The Picatrix and the three books of occult philosophy, which I have read. And you know, all of the language in there, I am sure I have made mistakes, but all of the Dutch or the French or the German or the Ojibwe or the Eno that you encounter in there has been read by me, written by me. So I do language studies, too. Stephen King, in his On Writing…you have to take any book that any writer writes on writing with a grain of salt, because no one keeps all their own advice and writers are all full of crap. But he does say, and I think that is absolutely right, he says, if you don’t have the time to read, you don’t have the tools to write. And so, I read obsessively, and then if I have an individual question, you know, directed research is easier than ever because the Internet will help you find resources. You know, if I want to know, well, what does place X look like, I can probably find photographs online or or go there with Google Maps Street View and take a look. YouTube is also great, because…well. for example there’s a scene in Book 1 where Calvin Calhoun is casting bullets. He’s got a bunch of lead and he’s got a bullet mold and, you know, a pair of clippers, and in the conversation he’s making bullets and. And I didn’t know how to make bullets, but it turns out you got on YouTube and say, you know, hey somebody casting bullets, and you can watch people do it. Enthusiasts will show you exactly what it looks like to shoot an anvil or to make a bullet or to, you know, whatever. So, that that piece in a sense is easier than it has ever been before. But also a lot of fun. I love writing. I love reading. How do you develop your characters? Just how do you decide who you need in the story and then how much work do you do ahead of time to pen them down in your head before you start writing? Or does that also happen on the fly? Well, the answer is both, right? It sort of depends on how important the character is. The more important the character is, the more I will upfront say, “Hey, let me write a little backstory for this person, let me, you know, write about kind of their motivation or their thoughts or here’s a little vignette of something that happened to them when were back studying at Harvard that was formative…” But, you know, the truth is that a lot of your characters in a novel are spear carriers. They walk on stage, they deliver a couple of lines and then they get shot or, you know, they they walk off stage again or whatever. So, for a central set of characters, yeah there there is backstory. And then for much larger number, no, they’ll be quicker sort of characterizations or, you know, thinking about, hey, what do I what do I need here? Well I need a guy who’s good at accounting and totally despicable. And then I’ll assemble that character kind of on the fly. Yeah, I can’t either. My 10-year-old likes to write and if we won’t let her get on the iPad, so she can’t access her Google Docs, she will…she has two stories going in all time, she will turn to her longhand legal pad story if we won’t let her type. I do not do that. I write on the computer because I’m making a living doing other stuff, my writing process is sort of either I’m doing little bits now and then when I can because I’m busy, or I’m all in working at it for 12 hours a day because I have the time. I will start usually by…if you look in my files on my hard drive, for any novel that’s finished you’ll find initially some kind of scratch documents. Usually my experience is I get one idea that comes to me for free, if you will. There’s a medieval book or a poem called The Conference of the Birds, written by a Muslim poet named Farid ud-Din Attar. And the conference is an allegory for for Islam, or for religion or faith, but there’s a group of birds meeting and a feather falls from heaven. And the appearance of a mysterious feather from heaven starts the birds looking for the rest of the bird. What else is there, right? And that’s kind of how I experience writing. There is a feather from heaven. There is something that is free, and that is a an idea about a character or an idea about setting or an idea about a conflict or an idea about a scene. And then my scratch documents are me working out the framework that goes around it, where I say, “Oh, well if I want to get to a climactic scene that looks like this, what do I have to, you know, what has to go with it? What kind of conflict would lead to such a climactic scene? What kind of characters would participate in it? Okay, which of these is my protagonist? Who’s, you know, who’s experiencing the most interesting story here?” So, I experience an initial piece of inspiration and then a lot of craft and a lot of forcing yourself to do the work, and along the way then you find lots of other smaller bits of inspiration. So the trail is, you look back at the beginning and there is a document with me just, like, asking and answering questions to myself, and then I build that into these charts that map out some main subplots. And then I do an outline of the book, where I’ve got sort of a rough outline of the whole thing, and a detailed outline of the beginning, and then I just start writing. Now having said that, I recently co-wrote my first book…well, no, I recently co-wrote a book with a new strategy with a guy named Aaron Michael Ritchey, this will come out from Baen next November, the novel is called The Cunning Man, and we knew we wanted to split the writing of it, so, in other words, rather than have someone write the first draft and the other guy edit, ee wanted to each write half of the first draft. To do that we had to have a really detailed outline. Neither he nor I ordinarily writes this way. So for the first time we spent about a month meeting one to two hours a day on the phone talking our way through the outline and the main characters and the backstories and the sort of magical aspects of the story. And we had a detailed chapter-by-chapter, beat-by-beat outline and then sat down and each wrote half the book. And it worked! The two halves fit together totally. So this is…all my answers are long-winded, Ed, I’m sorry, I apparently am a very long-winded guy…but the point is this is a change from my past process, but it’s one that at least Aaron and I will use again, because it made writing the rough draft shockingly easy. It was all there. Well, and speaking of drafts, what does your rewriting process look like and what does. I presume…is Toni your editor at Baen? I’ve had Toni Weisskopf and also Jim (Mintz) edit my books. They both asked to look at Book 3. I haven’t got notes back from either one yet. I think Jim is looking at The Cutting Man. With both books that Baen’s published I got basically one…Toni gave me an email with some comments. Some of them came from the initial reader. Some of them came from her. Not a long list of comments. The biggest comment was, it needs to be shorter. And that was a wonderful comment, because I had turned in a 240,000-word draft, and she just said needs to be shorter. And I said, “OK.” I did not want to cut any characters or scenes, and I found that by just tightening the language I could cut out 35,000 words, and that experience made me a much tighter writer, even as I’m composing, not just in the way I edit, but I just write more tightly. Before it gets to sending it to the editor, how much rewriting do you do you find yourself doing? Do you have a fairly clean draft when you get to the end? Do you sort of do rolling drafts, where you’re fixing things along the way, or do you go back to the beginning and start all over? Do you share it with your writing group? How does that all work for you? During the time when I was writing full time for a couple of years, what I did and what I liked very much is I would read yesterday’s chapter. I had a page-count goal every day, depending on the book it was eight or fifteen pages, somewhere in there, eight, 10, 12, fift15 pages. Easy, that’s no problem, that’s like two to four hours of writing. So I would always edit the day’s chapter before, which is great, because then I’m totally in it, and then write today’s chapter. And as notes occurred to me I would go back and revise them in the earlier chapters as they occurred to me. So, in the first several books I wrote, by the time I had a first draft it was quite complete. I was quite quite polished. I just don’t have the consistent time now. I hope to get back to that process. Now, I tend to…comments occur to me and I write them in a note. I have an Eevernote. And, by the way, this happens, I turn the book into the editor, and things are still occurring to me. But while I’m writing, things occur to me and having written it I let it sit for a few weeks and then I go back and I go through and I read it and make all the revisions that occurred to me and more revisions occur to me and I go through a couple of passes. Then while the book is with the editors, more things occur to me, and so I build up a set of notes again and so I’ll do anothe couple or three passes whenever I get the comments back from from Jim and Toni, and that’s kind of, you know, they’ll probably give me a month or two on it and I’ll probably procrastinate half that time and then it’s been a few weeks. So, this is a lot of work, obviously. And, you know, I know this, being a writer, as well. So, here’s my big philosophical question as we come close to the end here. Why do you do it? Why do you write? Why do you think any of us write? Yeah. So, there is a spiritual pattern that seems to be a very, very widespread inheritance of humanity, that finds its purest expression in the sort of Siberian steppes, which is usually called shamanism. And you’ll hear anthropologists say, you know, the Midewiwin medicine men of the Ojibwe are not quite shamanism, but they have shamanistic elements, and you hear that kind of language a lot. A shaman, the distinguishing characteristic of a shaman was that the shaman left his body and travelled…so, the technical term for that is ecstasy. Ecstasy is standing out, stepping out of your body…and in a trance, he would travel to the realms of the spirit, where he would be killed and reborn, where he would find spirits that would bring healing into the tribe, where he would learn the direction they needed to go to find the elk who were not at their usual summer pastures. And I think that that a novelist is the contemporary descendant of the shaman .I think there is a craft aspect that we talk about ad nauseum, there is a business aspect that we sort of pretend to talk about once in a while but few of us really understand what’s going on, and by the way, that’s true of editors, too, so we don’t talk about it very much, but I think the core activity is shamanistic, or if you prefer, it’s prophetic. It’s leaving your body, it’s finding the muse, it’s encountering things of the internal world, things that are meaningful for you and your tribe, and then coming back and presenting them. And just like the shaman, you have to be part visionary. But you also had to be part entertainer, you had to be a showman, because you had to tell your story as a poem or act it out to get people to listen to you. I do it because it’s a beautiful way to try to share and communicate meaning in the world. It’s a terrible way to make money. As a money-making proposition, it’s kind of like lottery tickets. Yeah, you might be J.K. Rowling, but almost certainly not. Almost certainly you’re going to make a very tiny amount of money and that’s it. If you want money, you’re better off just getting a government job and saving your money and you’ll retire as the millionaire next door. But as a way to make beauty and make meaning it’s absolutely terrific. 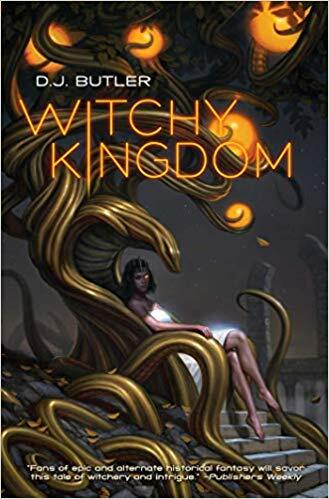 Well, and on that note, in what ways are you…now, this will come out just about the time that Witchy World comes out in paperback, so looking ahead to that from when we’re doing the interview, what will you be working and focusing on in 2019? Well, so, we just turned in the first book…Baen bought two books, and so we’ll write at least two books of them. The first book is called The Cunning Man, and that’s set in the 1930s. A cunning man is an old English. but not, now I don’t mean Anglo-Saxon, I mean like it’s just, it’s old and it’s English, word for a kind of magician A witch was somebody who was malevolent to you. A witch cursed you and was a bad person. A cunning man, the research shows that they were mostly middle class. They were business people. They were like gunssmiths, or tanners, who also had a magical practice, and because they could read and they could gather enough kind of knowledge of spells, you know, when you wanted someone to fall in love with you or you wanted to heal your cattle of the murrain or whatever. you’d go to the cunning woman or the cunning man. So, this series is set in the 1930s, about a practicing cunning man who is dealing with some of the practical problems of the Great Depression, and finding that behind the bankrupted businesses and played-out farms there are demons and curses, and he battles them with his traditional magical law. So late next year we’ll write Book 2 of that. What I’m working on now and I think will probably hopefully be finishing up about the time…well, that’s optimistic. I’ll be working on this about the time that Witchy Winter comes out in paperback…is a standalone fantasy novel. And I think I have finally settled on the name The Other Jack for the title. I’ve had various ideas, none of it felt right, I think The Other Jack does it. This is a a secret history of the life of J. Pierpont Morgan, and the idea, the opening chapter or the prologue is in the 1830s in Cairo. 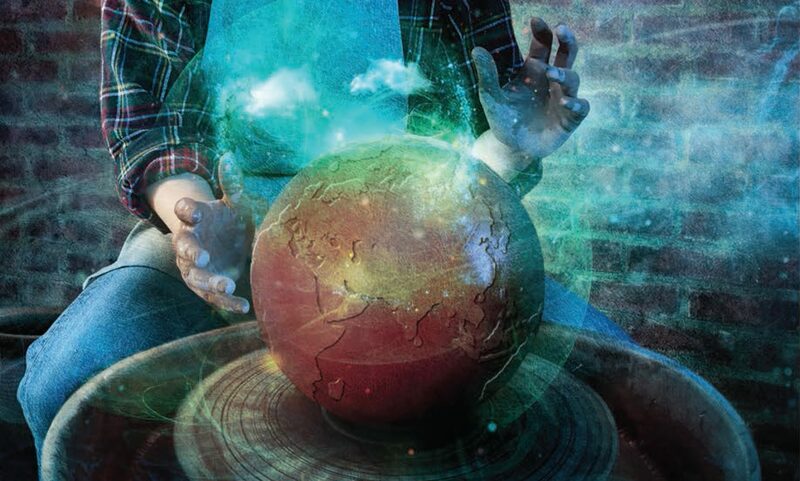 There is a group of Jewish scholar-magicians, including, there’s an old man who learned in his youth that, at night, he dreams the future, one hundred years in the future. And so, in the early 1830s he’s dreaming the rise of the Nazi party. And so these scholars are trying to come up with a way to try to prevent this, to stop the rise of German fascism. And their plan is, ultimately they what they want is they want the US to forgive the debtors of World War One, France and the UK, so that France and UK will forgive Germany’s debts, so that Germany between the wars does not become an economic basket case, so that Hitler does not have fuel to to light his bonfires. Right? That’s the plan. And they want to do it by taking over the House of Morgan. So it’s about…in the real world, J. Pierpont Morgan’s life, he was sort of the great banker of his day, of the Gilded Age, is full of all kinds of fascinating little details, including an obsession with Egypt–he would go every year and sail up the Nile–but also including, in the Civil War, after Gettysburg, his number was called up in the draft, and he did not go. He paid somebody else and that guy, in real life, he then took care of him his whole life, I mean, not as a dependent, but he just made sure the guy was OK, if the guy was out of a job or something, Morgan would help him. And he jokingly referred to him as the other Pierpont. And so, this idea of kind of a vicarious personality is already embedded in Morgan’s life, so this story is going to be about a three-way switch that happens at that moment in 1863 where J. Pierpont Morgan’s soul is put in the body of that substitute, so they can replace it with a with a body of someone who’s part of this conspiracy to try to stop 20th-century Naziism. So it’s about a three-way body switch and about these three men kind of learning what’s happened then and trying to get their own bodies back or decide what to do about it. Sounds ambitious and very interesting. Yeah. Should have a climax aboard the Titanic. J. Pierpont Morgan had a cabin scheduled to be on the voyage of the Titanic and then didn’t go at the last minute. So you know that’s got to be in the book. And where can people find you online so they can follow along and see what all these things are that you’re working on? I have a Web site but it’s pretty static. I only rarely post, www.davidjohnbutler.com. It’s easy to follow me on Twitter @DavidJohnButler. And also on Facebook, Dave.Butler.16, there’s a lot of Dave Butler it turns out in this world. David.Butler.16. Usually my profile picture has me wearing a tricorn hat. Seems appropriate. Well, thanks so much for for being on The Worldshapers. Ed, thank you very much for having me. I really appreciate it.